Buying any property is one of the most important purchases of your life so you really don’t want to make any mistakes. When you are spending the amount of money you have to you can’t afford to get it wrong because you won’t have the liberty of a second chance unless you are a secret millionaire. The majority of us, unfortunately, do not have a limitless amount of cash at our disposal so extra precautions have to be taken. The problem with property is the confusion and the complexity – buying a new home or a piece of land isn’t the simplest process you will ever go through. To make sure you don’t make any error and to simplify the whole procedure, here is a guide to buying property. 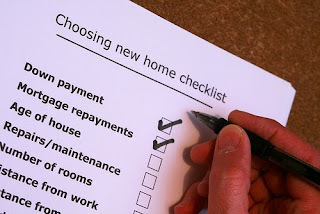 The first thing you need to take into consideration is whether you can afford to buy property or not. This is actually one catastrophic error that a lot of potential property owners make, even though it sounds so obvious – there is a temptation to make yourself believe you can afford it, but in reality you just really want the property and trick your brain into making a big mistake. Therefore, one tool every prospective new home owner should use is a mortgage calculator. You can input any calculations and any money related scenarios you can think of and it will work out the repayments and everything. What you don’t want to do is buy a property that is not for you. You might be in a rush and you might be feeling pressured by the estate agent but you will regret it if you are not one hundred percent sure. To negate this you can always search for properties online to find your favourites, which is a huge help. Order a land title search with online companies such as speedysearch.ca for the best results. Land title searches will give you all the information you need to help secure the property. Don’t speak to banks before you know what your credit score is like. Banks don’t’ just hand out loans to anyone, even though it might look that way on occasion. They go through a very thorough vetting process so if you credit is bad you will get rejected. There are always ways to improve it so don’t be too dejected. You have to realise that there is a very lengthy process when you are buying property so you won’t just move in straight away. Sometimes it can take months or even a year before you get the keys and the deeds so take this into consideration. You might have to sell your existing home to raise the funds for the new one, and if this is the case then you’ll need a back-up plan or somewhere for you and the family to stay. If this is all too much for you then you can always enlist the help of professionals. Property finders like Zoopla and Rightmove will do all the work for you and are known for their professionalism and good results. This is by no means an exhaustive list so feel free to do your own research and add more to the list. It really is incredibly helpful.